When most people think of a facial, they think about having their skin cleansed and then moisturized. When a facial is defined in this way, almost any person can do a facial. And it is true that many people do at-home facials in order to cleanse their skin and maintain a clear complexion. However, professional facials include a variety of other treatments, and they offer many benefits that individuals cannot get while doing an at-home facial. Most professional facials start off with cleansing the skin. Different cleansing agents will be used in order to remove dirt, oil and any debris a person may have on their skin. The next step usually involves exfoliation. Exfoliation goes deeper than a normal cleanse. It gets rid of the top layer of skin, removing dead cells and imperfections on the skin. In addition to getting rid of that top layer of skin, it causes the body to naturally heal itself, producing more collagen. Another part of many professional facials is using steam. When steam is used on the face, the pores open. Whatever dirt and oil that was previously trapped in the pores now becomes soft. The professional doing the facial may use manual extraction in order to squeeze out any oil that was clogging the pores. One of the things that you may be thinking right now is, “Why do professionals recommend that people do not squeeze clogged pores on their own?” The reason for this is because most people usually squeeze too hard, and they are squeezing hardened oil. This usually leads to skin irritation and even infection. It can lead a person to have visible scarring on their skin. Our professional will gently extract the built-up oil from your pores, leaving your skin looking fresh and clean. Professional facials may also involve using a mask to help you treat specific skin conditions you may have. It may involve using a moisturizer and then getting some type of massage. In addition to the fact that a massage is relaxing, it actually provides physical benefits. It encourages the cells to regenerate, leading to better blood circulation. This leaves your skin looking younger and blemish-free. When you come in for a professional facial, you will be working with an individual who has been well-trained to perform professional facials. Our professionals are skin experts and have seen a wide range of skin problems. They will help to diagnose any kind of skin issue you may have, and then they will be able to recommend a treatment in order to help you deal with it. Working with a professional allows you to avoid self-diagnosing skin issues you may be having. Getting a professional facial is more than just having your skin cleansed and moisturized. Getting a professional facial at Youthtopia Med Spa allows you to treat a variety of skin issues before they become huge problems. It is one of the best ways for you to maintain a youthful, glowing, vibrant appearance. 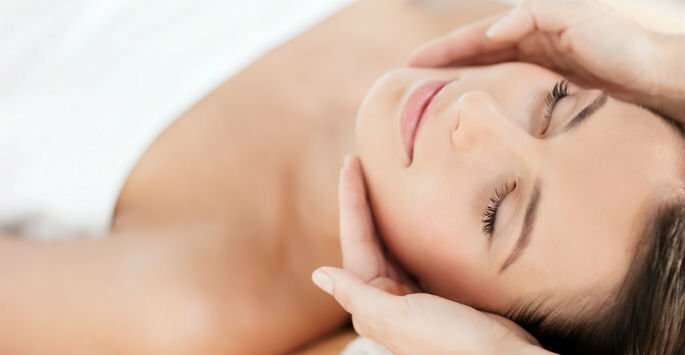 Contact us today to schedule your appointment at our office in Alpharetta.